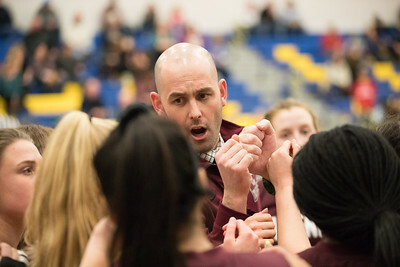 Whitney Rupp for Shaw MediaMarengo coach Nick Rode directs his team during a timeout at the Johnsburg game Wednesday, Jan. 31. 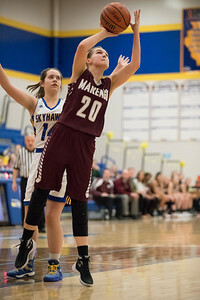 Whitney Rupp for Shaw MediaErin Haeflinger, Marengo, takes a shot during the conference game at Johnsburg Wednesday, Jan. 31. 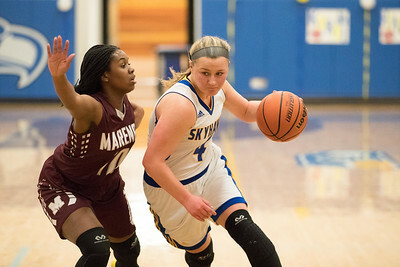 Whitney Rupp for Shaw MediaMarengo’s Jordan Parker guards Megan Madsen of Johnsburg in a conference game at Johnsburg Wednesday, Jan. 31. 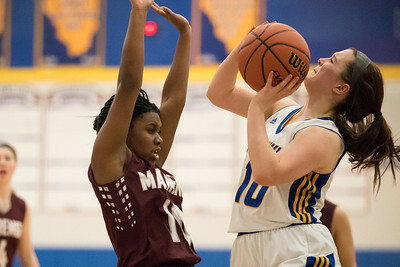 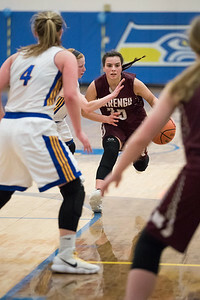 Whitney Rupp for Shaw MediaSarah Metze of Johnsburg prepares to shoot against Marengo’s Jordan Parker in Johnsburg Wednesday, Jan. 31. 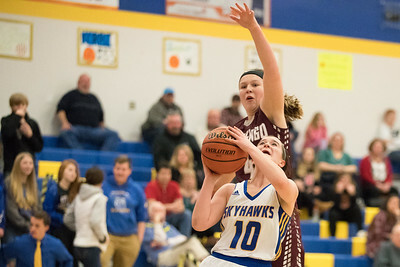 Whitney Rupp for Shaw MediaMarengo’s Hannah Ritter attempts a block on Sarah Metze of Johnsburg at Johnsburg Wednesday, Jan. 31. 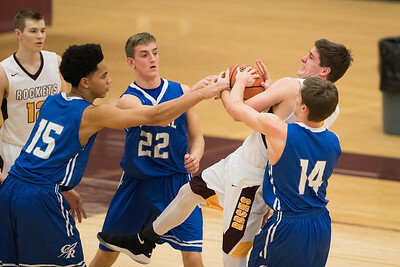 Whitney Rupp for Shaw MediaRichmond-Burton’s Luke Uhwat fights for control of the ball against Burlington Central Thursday, Feb. 1.